A type of legume originating in Asia, which is also grown in the southern United States. The small seed or bean of the plant has a beige color and is characterized by a black circular spot, or ''eye''. 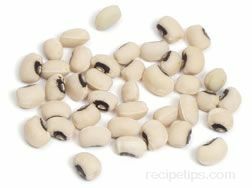 It is also known as the black-eyed pea.